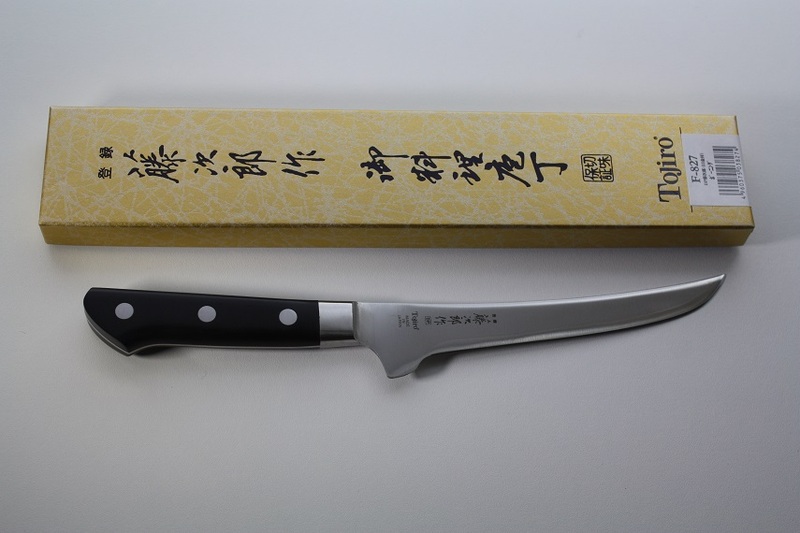 The Tojiro DP knife series are one of the most value for money knives out there if you are looking for a reasonable priced western Japanese made knife. VG10 cutting core and a stain resistant clad, Tojiro knives are super sharp and hold there edge for long periods of time. The eco wood handle has been tried and tested and will last for the life of the knife. 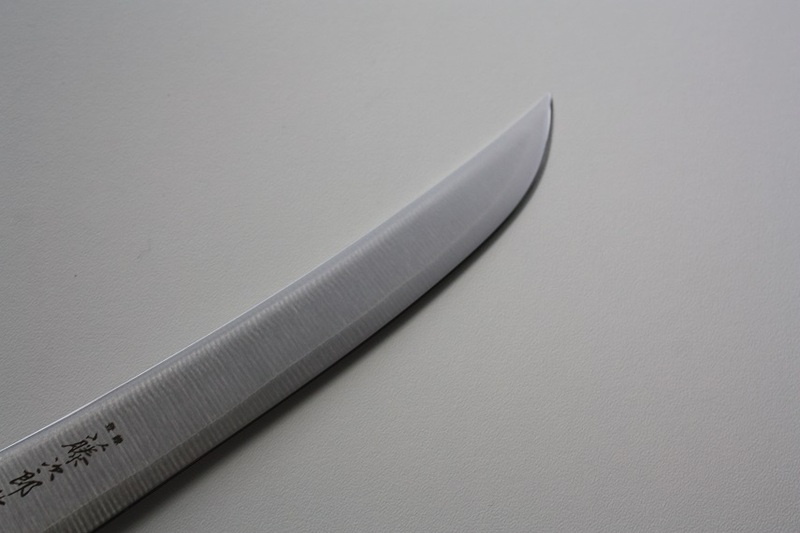 The boning knife is a Japanese made knife made in a western style. 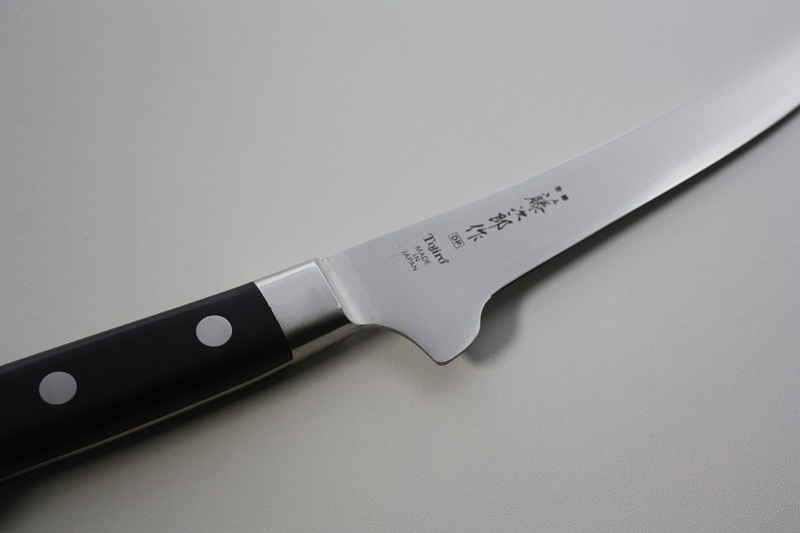 It has a thinner blade with an inverted heal to prevent your hand from slipping when working round the bones of poultry, beef and lamb. 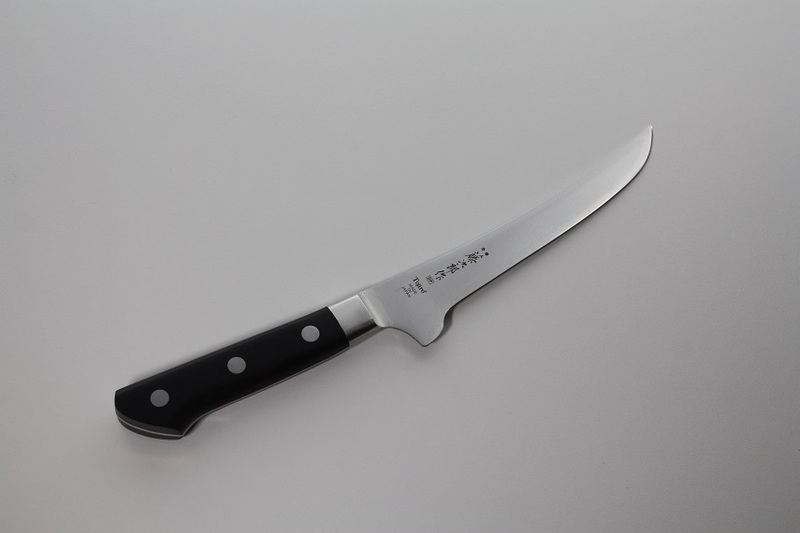 Handle length 120mm / 4.7"
Blade length 150mm / 6"